. At the start of Good Money Week, Blue & Green Tomorrow have issued their 2015 Guide to Sustainable Investment – read the compelling case for balancing the needs of people, the planet and everyone’s prosperity through how and where we invest. Have a look at this article for the arguments against 8 commonly held myths about sustainable investment. You can also download their Guide to Ethical ISAs 2014.
. 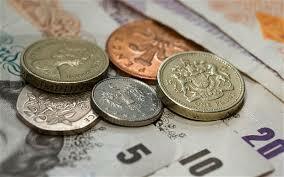 Ethical Consumer have reviewed many things money related – banks, insurance, pensions, mortgages etc.
. Your Ethical Money – an independent non-profit resource on ethical money and an initiative of EIRIS. Learn about how and where your money is invested, search for green and ethical financial products, and find out how you can help make finance more sustainable.
. Share Action – the movement for responsible investment, transforming the investment system to serve savers, society, and the environment. I have given them proxies to my FTSE100 shares meaning they can attend the AGMs and ask pertinent questions, and develop a relationship with the company. As a shareholder I am very aware that I am a part owner of the company therefore have a responsibility to hold them accountable for the decisions they make and the actions they take.
. UK Sustainable Investment and Finance Association – promoting responsible investment and other forms of finance that support sustainable economic development, enhance quality of life and safeguard the environment.
. Move Your Money – using consumer power to build a better banking system, and helping you to bank on something better. Ranks banks and building societies according to their ethics.
. The Co-operative Bank – ethical (in the past, at least) banking and highly rated by Which? for customer service. Save Our Bank is running a campaign to ensure that the Co-op bank remains true to its ethical investment principles, even if it no longer has the ethical structure that it previously had. If you already have an account with the Co-operative join the campaign to make your voice heard. If you want to switch to banking with the Co-operative use this link to get £100 for you and £25 will be donated to your choice of one of the Co-operative’s selected charities.
. Triodos Bank – a world leader in sustainable banking. They only lend to and invest in organisations that benefit people and environment. They connect savers and investors who want to change the world for the better with entrepreneurs and sustainable companies doing just that. And if you use this link and deposit £100, Triodos will donate £40 to emerge poverty free.
. Charity Bank – finances social enterprises, charities and community organisations, with the support of depositors and investors who want to use their money to facilitate real social change, while earning a financial return.
. Reliance Bank – min. 75% of profits gift-aided to The Salvation Army. Christian, ethical banking with a responsible lending policy.
. Unity Trust Bank – seeking to put social change at the heart of everything they do by offering specialist banking and finance to organisations that have a positive impact on their communities. They put social good and financial sustainability first and use customer deposits to fund lending where there are clear social impacts, supporting job creation and retention, housing and community development.
. Your local credit union – credit unions are a relatively unknown blessing to their local communities. As a debt adviser I know what a great alternative they are for loans, especially when compared to those companies who advertise incessantly on the television, or those who have prominent shops on impoverished high streets. #ToYourCredit is the Archbishop of Canterbury’s initiative to create a fairer financial system focused on serving the whole community, where everyone has access to responsible credit and savings and other essential financial services. If you have money to save, could you consider saving it with your local credit union, so that while you don’t need it, you know that it is being used to help those in need in your local area – your neighbour in the narrowest sense of the word!
. Consider financing loans, both large e.g. Shared Interest – ethical investment co-operative, and small e.g. Lend With Care – micro-finance for entrepreneurs in the developing world.
. Invest in Green Pastures – releasing the church to end homelessness. They currently have 36 partners in the UK housing over 485 people and pay investors up to 5% (you choose how much) to end homelessness. Over 150 people have now invested over £4.3million so far. What a great idea! See this article in Christian Today for more info.
. Ecclesiastical – their unique approach to identifying socially responsible investment opportunities has helped them to deliver profit with principles since 1988. They’re one of the few ethical investment management companies who go beyond negative screening. Not only do they avoid businesses that engage in negative practices such as armaments or child labour, they also actively search for ones that make a positive contribution to ethical business practices, social-enhancement programmes and ecological protection. They believe that both profit and principles go hand-in-hand and ethical investments don’t have to compromise on performance.
. Gaeia – global and ethical financial advice for a world of difference.
. Ethex – make money do good – positive investing.
. Allia – invest in a Charitable Bond through Allia, the social profit society.
. Arcubus – invest in Arcubus – an innovative way to release immediate funding for micro-finance in Africa – and your money is repayable in full 5 years later.
. Investing Ethically – a company of Ethical Independent Financial Advisers specialising in socially responsible, environmental and ethical investment. Check out their page on Why Ethical?
. Oikocredit – a worldwide cooperative and social investor, providing funding to the – sector, fair trade organizations, cooperatives and small to medium enterprises.
. Ethical Money – the Ethical Investment Co-operative is a firm of independent financial advisers specialising in ethical and socially responsible investment. You might think of insurance as just being a necessary evil and look for the cheapest available policy. But do you stop to think where your insurance premiums are being held? Like banks, insurance companies assume that not everyone will make a claim at the same time, therefore your money is being invested by these companies. There is a high probability that your premiums are being invested in companies contributing to climate change or selling armaments. What about choosing an insurance company that makes your premiums work for good?
. Co-operative insurance – the stand-out product for home insurance because of its pioneering model to ethically screen the fund into which your insurance premiums are put.
. Ecclesiastical insurance – a unique commercial organisation, owned by a charity. The way they’re owned means the harder they work the more support they can give to people and communities in need.
. SAGIC – “insurance that changes lives”. In 2014, thanks to their customers, SAGIC will gift aid £700,000 back to The Salvation Army, enough to help give 210 homeless people a roof over their heads every night for a year. Most insurance needs can be met by them.
. Will Aid – in November a local solicitor will write / update your will for a donation to charity.